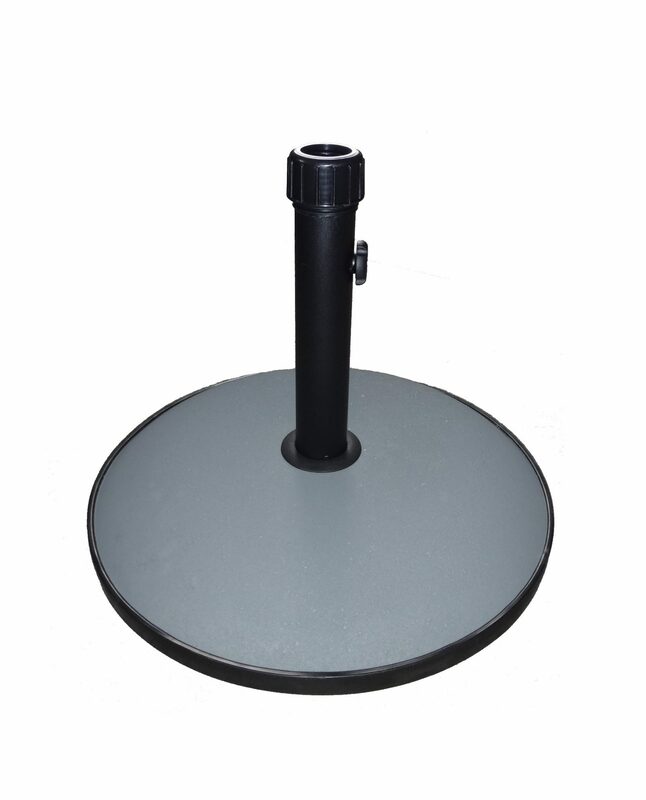 Ensure that your parasol is kept safe and secure, with this round concrete parasol base. Crafted with a durable concrete base, this parasol base will provide support in windy conditions. Simply tighten the side screw, to secure the parasol inside the base. Fitted with a plastic band on the bottom of the base, you can protect the base in transportation. Simple in design, this grey parasol base co-ordinates perfectly with our garden furniture sets and parasols. Please Note: Its recommended you take the parasol down during windy conditions. Please Note: This parasol base is suitable for use with our 2m market parasol, 2.7m market parasol and 2.7m Shanghai parasol.